The saint I bring you today was not even canonized yet, when I first fell in love with him. And, there's a good chance you've never heard of him. I hope that after today, you'll fall in love with him, too. Today I'm going to share with you St. Andre Bessette. I got to know him while in college, because he was a religious brother in the Congregation of Holy Cross. 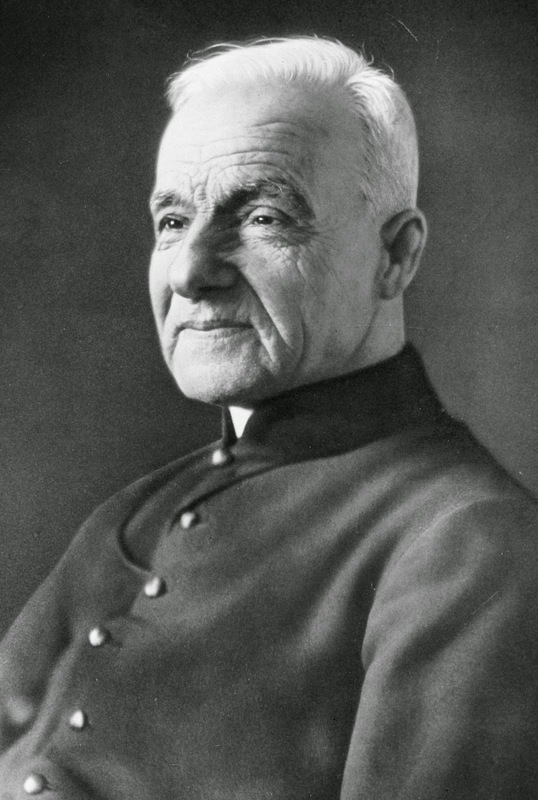 To read the full story of the life of St. Andre Bessette you can click here. The basic gist, though, is that he was thought to be too weak and feeble to continue in the religious life, but he begged to stay in the order. For years, he was a porter, but God had much bigger plans for him. You see, Andre had a great love for St. Joseph. 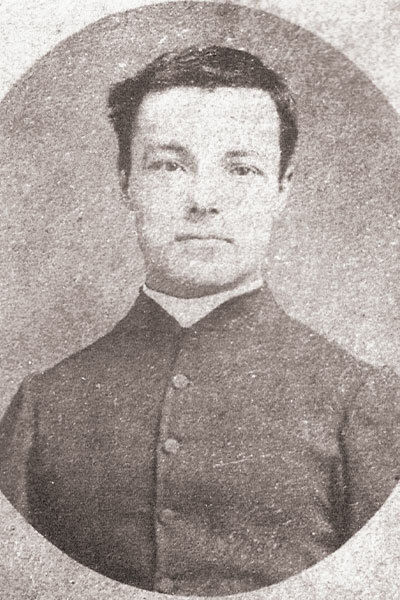 St. Andre as a young man. Because he loved St. Joseph so much, he was determined to build a shrine for him. But being such a little, poor fellow, all he could manage to build at first was a simple little chapel. The basilica he dreamed of wasn't completed until after his death. So, what is there to love so much about Andre? He was humble...so very, very humble. I always find the "littler" saints easier to approach. I really love some of the tougher saints (like Padre Pio, St. Michael the Archangel) but I find saints like Andre so not intimidating that I gravitate toward them. I think St. Andre's devotion to St. Joseph speaks volumes about him. St. Joseph never speaks a word in the Gospels, but his quiet strength and love shouts out from the pages of Scripture. It probably comes as no surprise that I love St. Joseph, too. But I love Andre especially because he knew opposition to his vocation, and that opposition was centered around weaknesses beyond his control. I've struggled a lot in my own vocation journey as a mother, because of my hyperemesis gravidarum. I have definitely hit a point in the midst of a difficult pregnancy where I've wondered why God ever called me to marriage and motherhood, and whether or not I was fit for that call. In moments like that, saints like Andre fill me with hope - hope that God works through suffering, littleness, and weakness in order to show His strength. Look at the cross - the greatest, most powerful act of love ever committed, accomplished in the midst of the greatest weakness and suffering. And so it was with Andre. And so it is with us. 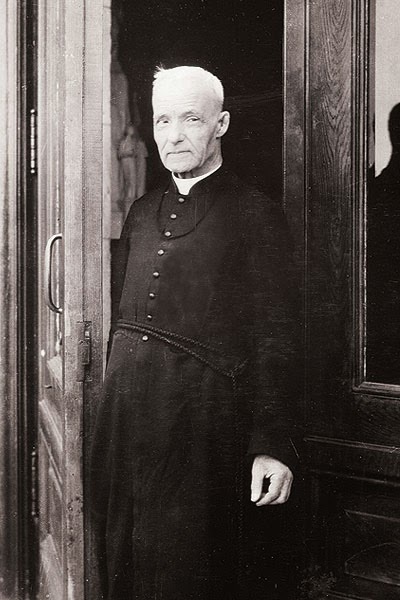 St. Andre Bessette, pray for us!